Rev. Dr. Yvette A. Flunder is an unapologetic disciple and proponent of the radically inclusive love of Jesus Christ, who has raised her voice for justice from the church house to the White House and steps of the Supreme Court. She is a graduate of the Certificate of Ministry Studies and Master of Arts programs at Pacific School of Religion, and she received her Doctor of Ministry degree from San Francisco Theological Seminary in San Anselmo, CA. A native San Franciscan and third-generation preacher with roots in the Church of God in Christ, Bishop Flunder - ordained in both the United Church of Christ and the Metropolitan Community Church – has successfully united the message of the gospel with social justice ministry and action for over 30 years. This call to blend proclamation, worship, service and advocacy on behalf of the most marginalized in church and society gave birth to City of Refuge UCC, which Bishop Flunder founded in 1991, along with 15 charter members. For 22 years, City of Refuge called San Francisco its home and grew into a thriving inner-city congregation with local, state, national, and international influence. Preaching a message of extravagant welcome, restoration and action within God’s “Beloved Community”, the congregation experienced both numerical and spiritual growth and in the fall of 2013 relocated to Oakland, California. In June 2003 Rev. Dr. Flunder was consecrated Presiding Bishop of The Fellowship (founded in 2000 and renamed The Fellowship of Affirming Ministries in 2011), a multi-denominational coalition of over 100 primarily African American Christian leaders and laity representing churches and faith-based organizations from all parts of the United States, and extending to Mexico, three countries in Africa and most recently, Asia. TFAM is in covenantal relationship with The United Church of Christ, The Metropolitan Community Church and The Centers for Spiritual Living. Responding to the needs of the AIDS epidemic, Bishop Flunder and her staff opened Hazard- Ashley House and Walker House in Oakland and Restoration House in San Francisco through the Ark of Refuge, Inc., a non-profit agency which provided housing, direct services, education and training for persons affected by HIV/AIDS in the Bay Area, throughout the USA and in three countries in Africa. The Ark of Refuge transitioned into the Y. A. Flunder Foundation, which continues the work of social justice exemplified through service and public advocacy, including collaborative partnerships to support the Mother of Peace Orphanage in Mutoko, Zimbabwe. 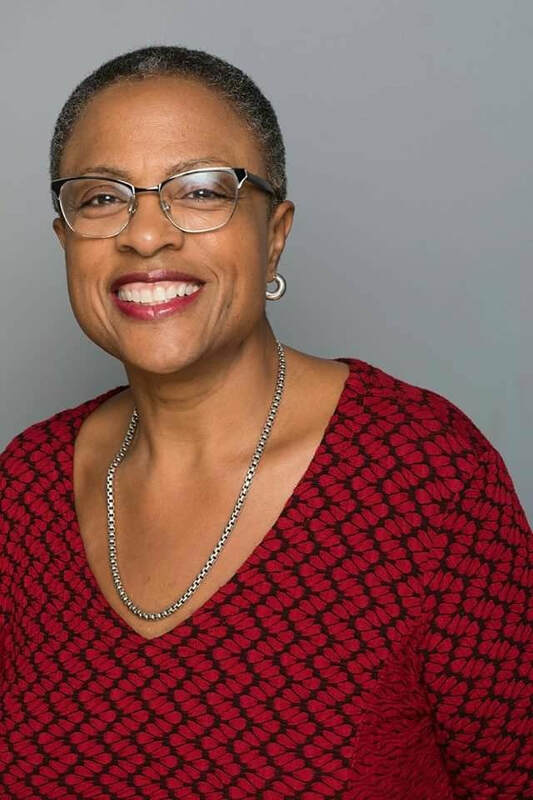 Following her call to be “salt and light” in the world, Bishop Flunder has served as a board member of the National Sexuality Resource Center, and as an active voice for the Human Rights Campaign as well as Co-Chair of the Religious Advisory Committee of the National Black Justice Coalition. She has also served as a Board Member of the Shanti Project, as Chair of the San Francisco Inter-religious Coalition on AIDS, Chair of the Black Adoption Placement and Research Center, Founding member of the African American Interfaith Alliance on AIDS, Member of the Alameda County Ryan White Consortium, a member of the San Francisco HIV/AIDS Planning and Prevention Council, a consultant to the Congressional Black Caucus Health Brain Trust, and as a Member of the California Ryan White Working Group. In 2011, she received a Robert C. Kirkwood Community Leadership Award from the San Francisco Community Foundation. Within the United Church of Christ she also served on the UCC Unified Governance Working Group as representative of the United Church of Christ Seminaries and as past President of the Board of Directors for the Northern California-Nevada Conference of the UCC. Bishop Flunder concluded nearly a decade of service as a Trustee of Pacific School of Religion in 2014, but she continues her work as an Adjunct Professor and speaker at PSR and at numerous seminaries and universities including Auburn, Brite Divinity, Chicago Theological, Columbia University, Drew, Duke, Eden, Howard, Lancaster, New York Theological and Yale. A much sought-after and prophetic preacher, educator, and justice advocate, Flunder is also a renowned gospel music artist who performed and recorded with “Walter Hawkins and the Family” and the Love Center Choir. Other gospel music recordings include “There’s Power“ with the City of Refuge Praise Ensemble, “We Won’t Be Silent Anymore” with The Fellowship Mass Choir, and “How Sweet the Sound”, with the Grammy Award winning Chanticleer. In 2012, Bishop Flunder received the Heritage OUTMUSIC Award from the LGBT Academy of Recording Arts. She is also a published author of Where the Edge Gathers: A Theology and Homiletic of Radical Inclusion. Additionally, she has contributed sermons and chapters to Birthing the Sermon: Women Preachers on the Creative Process, Those Preaching Women: A Multicultural Collection and Queer Christianities: Lived Religion in Transgressive Forms. In December of 2014, Bishop Flunder served as the keynote speaker for the White House observation of the 26th Anniversary of World AIDS Day, and was invited to be a member of the Board of Trustees for Starr King School for the Ministry the following spring. She was also named the 2015 Spiritual Hero in the January edition of the Science of Mind, produced by the Centers for Spiritual Living. True to her call, she continues to be a prophetic and progressive Christian voice and leader in the movement of justice for ALL of God’s children from the streets of Oakland to the halls of national government and international shores. --Rev. Dr. Martin Luther King, Jr.